Rather than starting with a girl gone missing, the second season of the Starz anthology series builds a mystery around a survivor's inexplicable return. Dramas focusing on a kidnapping — especially of young children — typically follow a simple trajectory: The family is introduced. The child is taken. The family is torn apart. A detective saves the day (or, at least, finds answers), and a happy ending or haunting lesson is imparted to the audience. Typically, there’s a guessing game involved, as a number of suspicious supporting characters pop up throughout the story, and the audience is invited to solve the mystery. Their reward is being right or being surprised, but what typically elevates some kidnapping dramas above the rest is what elevates any drama: formal elements — directing, writing, acting — that build upon an audience’s immediate empathy for the taken child and the tormented family. When “The Missing” debuted on Starz in November 2014, its differentiating formal choice was presenting two distinct timelines parallel to one another. Creators Harry and Jack Williams bounced between the present and the past, telling the story of a missing boy and parents wrecked by his abduction with an eight-year gap between depicted developments. Buoyed by strong performances and a singular vision (director Tom Shankland helmed all eight episodes), the series was a low-key critical success and even earned Golden Globe and Emmy nominations — two at each. Three years later, Starz has returned to the anthology series for Season 2, keeping most of the distinguishing characteristics intact. It’s a new story independent of what happened in Season 1, save for Tchéky Karyo. 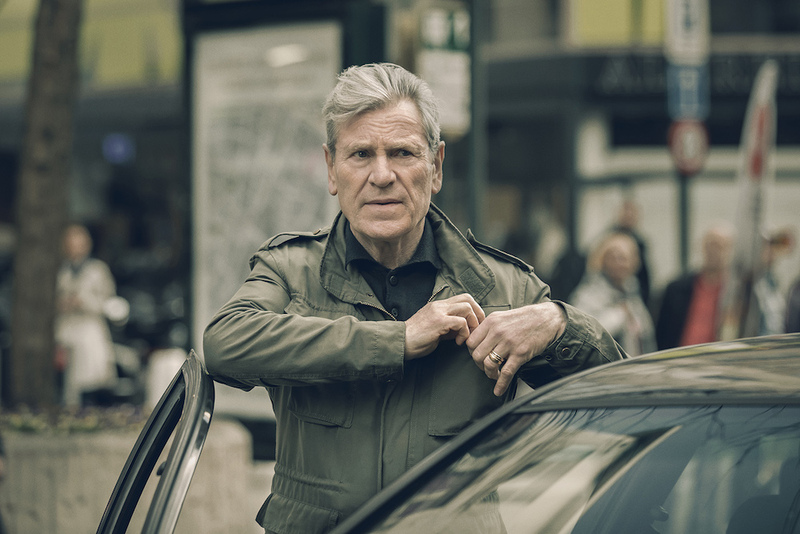 As Detective Julien Baptiste, Karyo is the only physical connective tissue holding the anthology together. Otherwise, a new cast — including David Morrissey (“The Walking Dead”), Keeley Hawes (“Death at a Funeral”), and Abigail Hardingham (“Broadchurch”) — is directed by one man: Ben Chanan (“The Last Kingdom”). The story unfolds in three distinct time periods (with the two primary stories set three years apart), and there is a family crippled by loss at its core. Only this time, the innocent child both goes missing and is found within the first few minutes. It’s where she’s been — and who she’s become — that demands an explanation. In the season’s opening scene, an adolescent Alice Walker is shown being taken away in a van while walking down the side of a road. Intercutting the sequence are shots of a woman in her early 20s (Hardingham) stumbling through the woods, making her way through town, and finally collapsing in the street. We soon learn it’s the same girl, her abduction and return separated by 11 years. But where was she? Rather than focus on what happened to the family when Alice disappeared in 2003, “The Missing” primarily deals with her return in 2014 and the further-fractured family in 2017. It turns out something happened after Alice returned to drive spikes between her father (Morrissey), mother (Hawes), and brother (Jake Davies). The Williams brothers and Chanan don’t waste a lot of time, as evident by their decision to reverse-engineer the original concept; tearing down the kidnapping drama to its core, examining what makes it tick, and applying those elements in a fresh manner. Many of the evoked emotions are similar: We still pity the family and root for Baptiste to solve the mystery. We’re still curious to discover the truth, just as we’re fascinated to see how any parent’s worst nightmare can affect them in raw, unrelenting fashion. Yet we’re not looking for anyone — not really. Though the twisty pilot puts forth plenty of questions, including whether or not Alice is telling the truth about how she escaped, Season 2 of “The Missing” is more concerned with why than how; why the kidnapping happened; why Alice returned; why the parents feel the way they feel and do the things they do; and, more than perhaps any of the other questions, why a retired detective is driven to solve a case he left over a decade ago. Baptiste’s role is expanded beyond what was demanded of him in Season 1, as Karyo becomes the de facto lead in the new episodes. He more than shoulders the burden — he owns it. Awash with conflicting emotions and saddled with a hefty side story threatening to send “The Missing” into overtly melodramatic territory, Karyo pulls the audience back in at every opportunity. His story offers the only hope in a sea of black souls, and without Baptiste, “The Missing” would be lacking in redeemable characters. He is the captain guiding us through choppy waters, especially when “The Missing” gets a bit lost in the middle episodes; holding back its reveals while dumping too much meaningless exposition. Needless to say, we won’t spoil anything for you, but the lesson carrying the greatest impact at season’s end is Baptiste’s. “The Missing” is a studious drama of humanity, and while there are complexities worth admiring within many of the other players, the detective proves most engrossing because he’s the only one who chooses to take part in this story. The others have had tragedy forced upon them. Baptiste wants to give them a happy ending, without ignoring the haunting lessons. By embracing him — as well as an ambitious premise — “The Missing” improves in Season 2. And where they go from here remains enticingly unknown. “The Missing” Season 2 premieres Sunday, February 12 at 8pm on Starz. All eight episodes will be made available via Video On Demand and the Starz app on that date.